Warning: The Tax Department Is Not This Efficient! I was thrilled… and then I remembered that anything that looks too good to be true probably is. The CRA has my bank information. 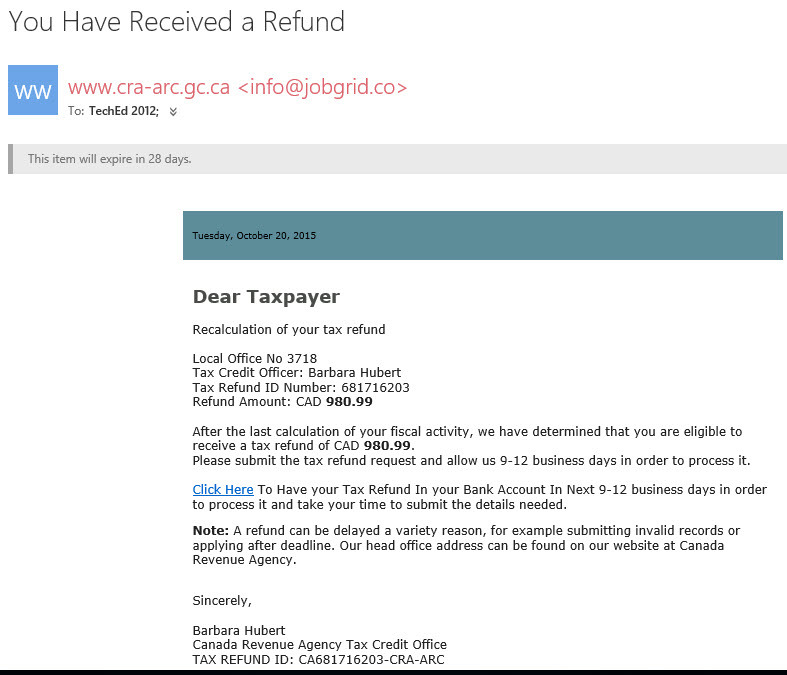 I owe the CRA money. Yes, I may be entitled to a refund for this year, but that refund would not be deposited to my account, rather it would be applied to what I owe them. To make a long story short: This is just one more example of a group of feckless losers (i.e. : Those losers completely devoid of all traces of feck) preying on the ill-informed. In short: DO NOT CLICK ON THIS LINK!